In the late 1960s and 1970s, I drove through the small town of Greenland, on the southern edge of Fayetteville, just past the airport, dozens of times, barely noticing it. Before the opening of Highway 540 connecting Fayetteville with I-40, the route to Little Rock was either on Highway 71 or the pig trail, and if you took Hwy 71, you were through Greenland before you even got serious about the trip. The only time I remember stopping in Greenland was in the 8th grade when the Hillcrest Junior High School B team played there in a basketball tournament. I think the final score was something like 12 to 8. I can recall nothing remarkable about the place. 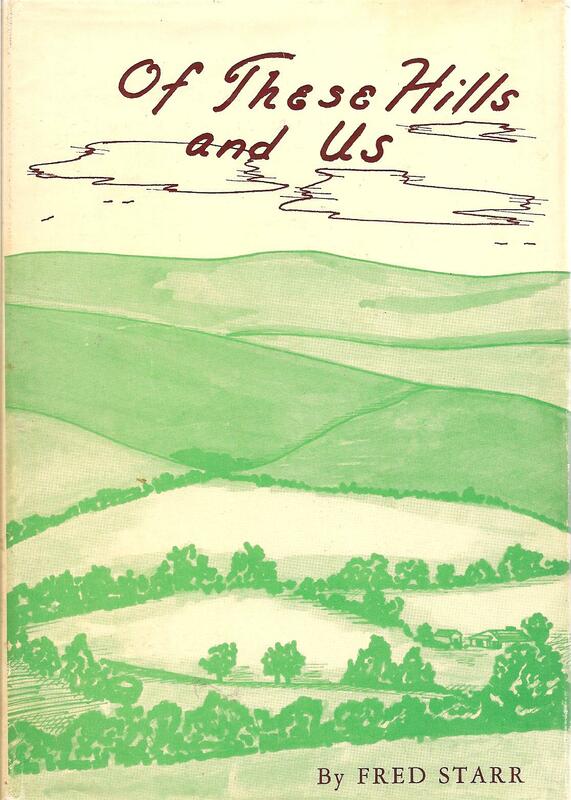 Greenland comes to mind because I just read a small gem of a book by Fred Starr, titled Of these Hills and Us, published in 1958. In it, he tells the story of how he and his wife moved in 1935 from western Oklahoma to the village of Greenland, population 140, to “wrestle with the other fellow’s youngsters” (p. 56). He and his wife, Florence, whom he had married in 1928, had been teachers in Oklahoma, living for several years in a “teacherage ” there, which I take to be group housing provided for teachers (p.35). Starr begins the book with the story of a washday in Oklahoma when, because they had an infant son, Joe Fred (who later became mayor of Fayetteville), he -- helping out his wife -- had washed about three dozen diapers, and they were hanging them out to dry when a dark cloud suddenly blew in a dust storm. It came so quickly they were unable to get the diapers off the line before the wind gave the diapers a “sandy red bath” that would make washing them next time twice as hard. Starr took her up on her offer, and found a job teaching in Greenland, taking a pay cut from $140 a month to $50 a month, though the Greenland school board suggested he might get up to $60 a month. 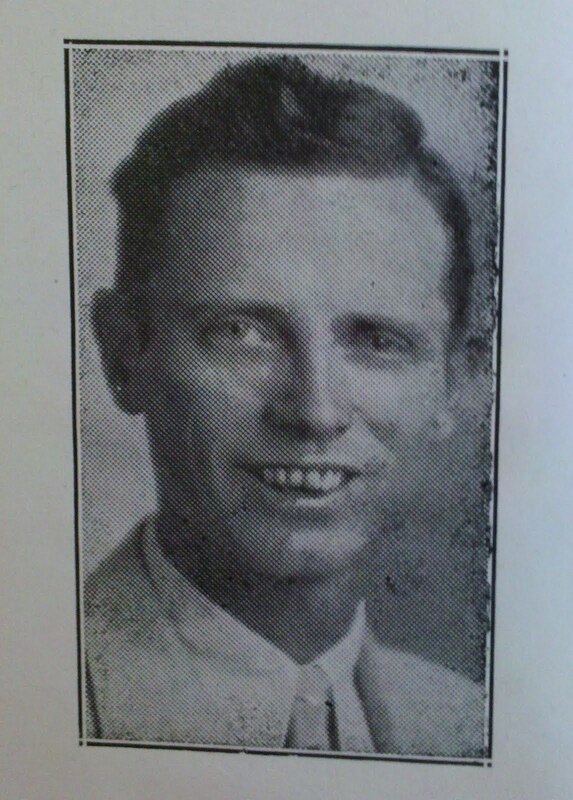 He didn't know it at the time, but both he and the Ozarks have rarely been so lucky as the day he arrived. He spent much of the next 40 years telling the stories of the hills and the neighboring hill folks in a clear, sympathetic voice. In doing so, he left us a colorful picture of life in the Arkansas Ozarks in the late '30s and early 40's before modern life changed things. Also, he gave us a vivid picture of life in Greenland at the time. Starr's first encounter with his neighbors came on the day they moved there. As he tells the story, the house they rented in Greenland was on a hill so steep the moving truck could not drive up it. So the mover left all of their furniture and belongings at the bottom of hill. …he inquired, gazing wonderingly at the huge timepiece, “Say, mister, why in tarnation don’t you carry a watch. Starr, his wife, and small boy quickly settled into the rhythm of their new surroundings. He joined the locals in the daily trek to the post office to check to see if the train arriving that morning had brought them any letters from the relatives they missed. He set up an account at the dilapidated general store that was chock full of goods that only the owner – a generous man to a fault – could find. He joined in the conversations of the men who squatted in front of the store on good days, and sat inside the store on bad days, about their favorite topic: the weather. And he became acquainted with his neighbors, a superstitious lot, who knew how to read the signs to determine such things as when crops should be planted or hogs neutered. ...Our two-year old was beginning to imitate the bull's bellow. If by chance we had a caller, the off-spring made it a point sometime during the stay to get down on all-fours, approach the visitor with a low grumbling in his throat and say menacingly, "This old bull is goin' to git you." The child's mother considered this very embarrassing. They moved to another house in the town, but could not stand the hard water there, and moved again, this time to a 20 acre farm, the Hively place, two miles south of Greenland off Highway 71 on the West Fork River. It was during this move that they found local lore warned against three moves. Also, they learned from their neighbors never to move a broom or a cat to a new residence. They didn't. Much of the Of These Hills and Us is about life at the Hively place and another farm they moved to a couple of years later. They had had a daughter there (another son, Jon Larry, arrived before they moved to the farm; many of us remember him as the head of the Fayetteville Youth Center in the early '60s and as a local sports editor), raised a cow, kept some bees, neutered their pig, found water, killed hogs, listened on the party telephone line, went to church, and celebrated Christmas, all with the advice and help of the locals. In telling the stories of these events, Starr introduced the reader to some remarkable neighbors whose folkways enriched the Starr family in their work and life. Starr clearly loved his life in the Ozarks, though he had to scratch out a living teaching; delivering the Northwest Arkansas Times [NWAT] newspaper; writing a column for the NWAT, the Tulsa World, and other newspapers; and farming. His wife, born in the flat lands of western Oklahoma, was less enamored with the hills, but slowly came around. 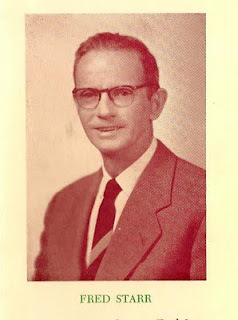 From 1958 to 1971, five of Starr's books were published. Of these Hills and Us was the first and, I think, the best. It certainly was the most popular, published in three editions (1958, 1960, and 1971). The book is a small masterpiece of autobiography, character study, and folklore. It is humorous, clearly heartfelt, and genuine -- in the best sense of the word. As with all of his books, Starr wrote Of These Hills and Us in unostentatious prose, with common language and colloquialisms, enhanced by droll humor. Thanks to reading Starr's book, I will never think again of Greenland as just an extension of the Fayetteville urban area, a place with a red light that threatens to slow the trip to a destination to the south.